Beware of dragons and wheelbarrows! 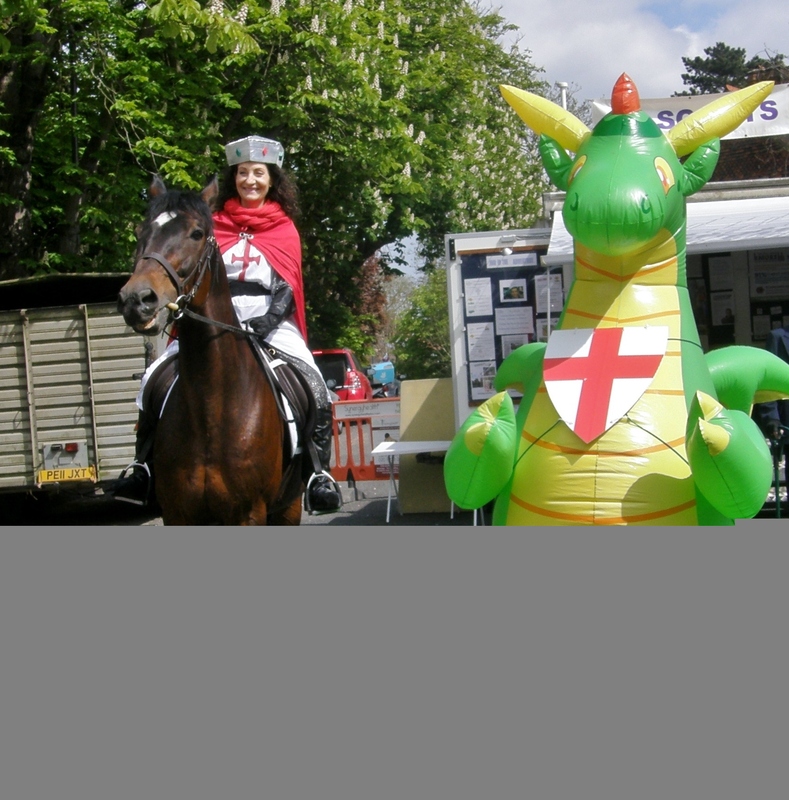 On Sunday 22nd April, Pinner will be celebrating St. George, slayer of dragons and Patron Saint of England. 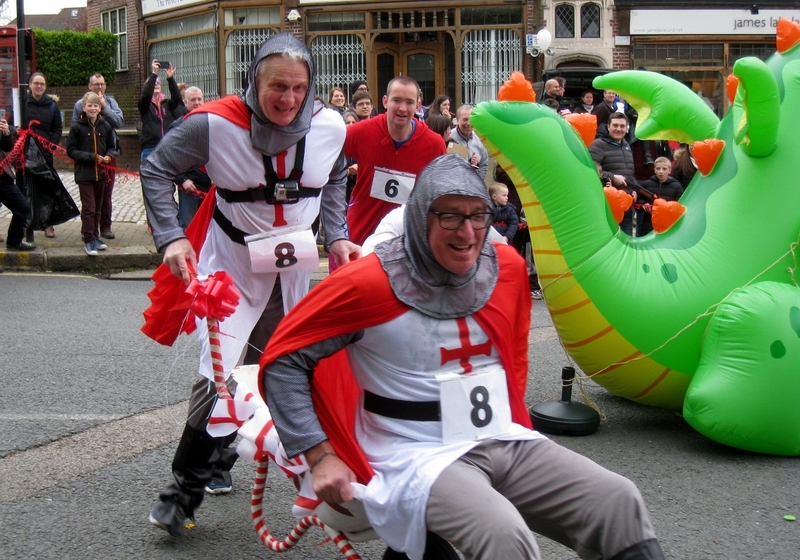 Highlight of the day will be “Ye Olde” Wheelbarrow Race, hurtling through the streets at 3pm. A unique Pinner event and a sight not to be missed. Radio Harrow will be live on air providing race commentary and interviews. The High Street will be closed to traffic and transformed into a family friendly venue with entertainment for everyone, including folk dancers English Miscellany, Punch and Judy, local band Simply Gray, a petting farm, face painting, balloon modelling, children’s rides, plus food stalls and much more. The day begins at noon with bell ringing in the Parish Church, followed at 1pm by the Mayor of Harrow and St. George on his trusty steed leading the parade of District Scouts up the High Street to the War Memorial where they will renew their Promise. The celebration is organised by the Rotary Club of Pinner and sponsored by Gibbs Gillespie Estate Agents. For more information go to www.pinnerrotary.org.uk.